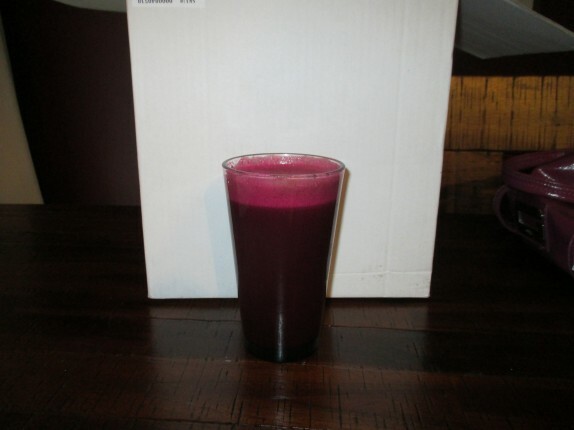 The inspiration for this juice was a delicious juice I had recently at All Good Things in Loudonville. 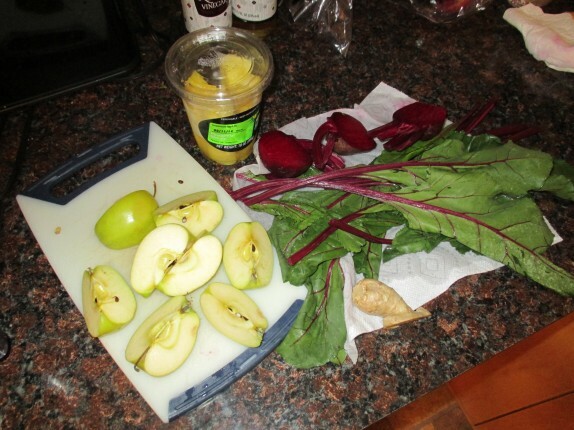 Actually, I bought the ingredients that were listed in their juice and tried to recreate it at home. 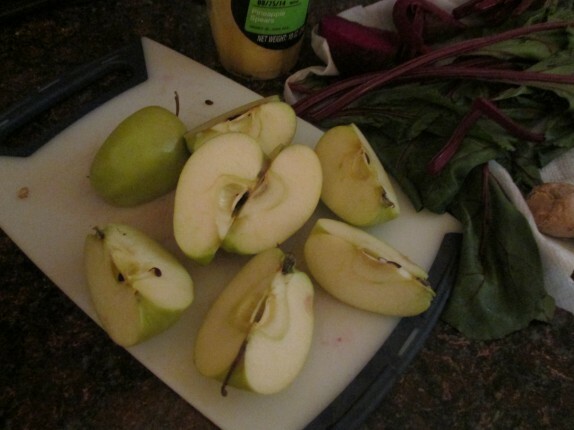 The proportions I used were 2 apples, 1/4 pineapple, 2 decent-sized beets (plus the tops), and about 1 oz of ginger. 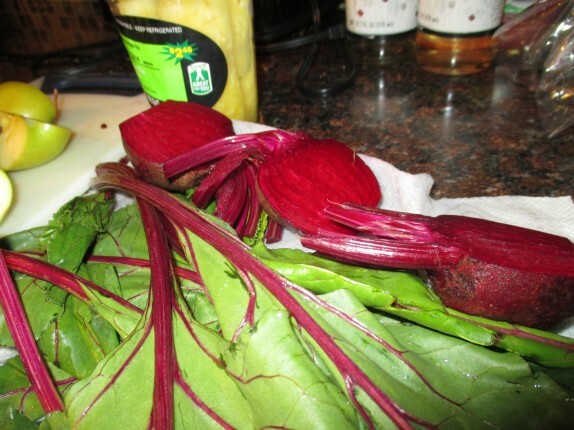 After scrubbing the fruits and vegetables, prepping them, and juicing them, I had a glass of beautiful, deep-red juice. And then I spilled it all over my counter. So, I spent way too long cleaning up the crimson mess, then re-prepared everything, and made it again, and so it became “Deja Vu” juice. My juice was pretty good. It was a touch more bitter than the version I had at All Good Things, but I expected that since I added the beet greens. 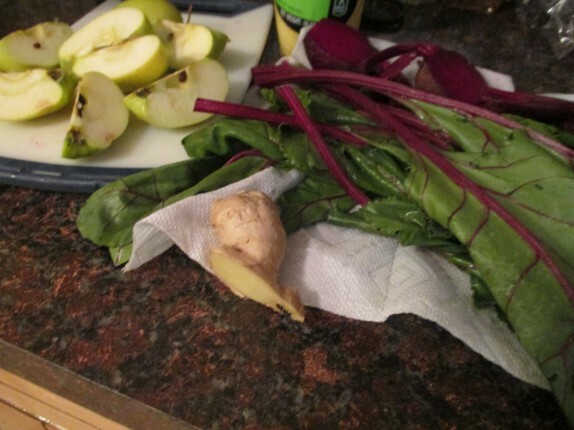 Like most of the juices I’ve had with ginger, the spiciness of the ginger is really the flavor that stands out. 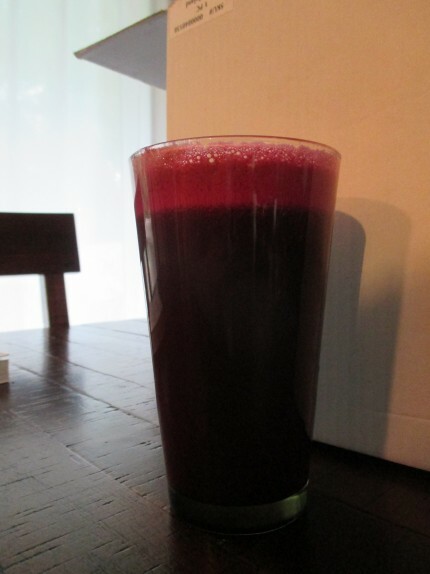 It is a fairly sweet juice, much sweeter than what I generally consume every day, so I like to keep this recipe in my back pocket for days that I want a to have little treat but also stay on the straight-and-narrow.